Paulina 25% Off New Arrivals is valid until 9/10/17 at 11:59pm PST exclusively at www.alloyapparel.com. Offer not available on prior purchases. 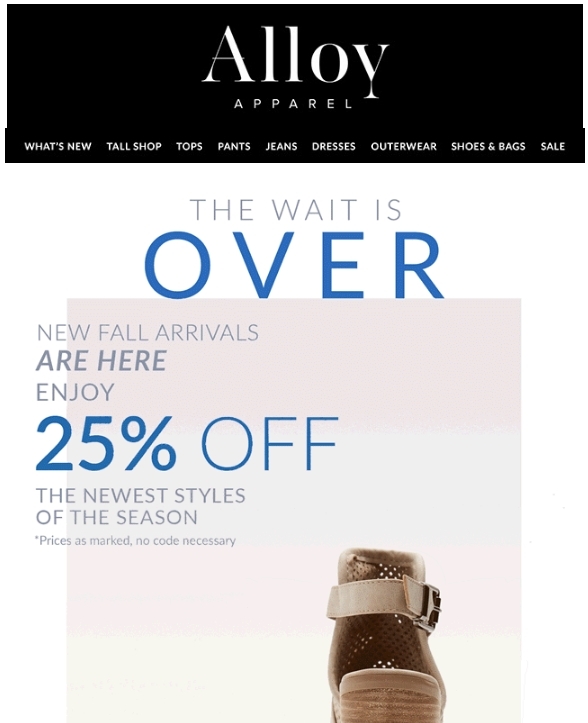 Alloy Apparel reserves the right to end or modify this promo at any time. Cannot be combined with any other offers. Prices are as marked.